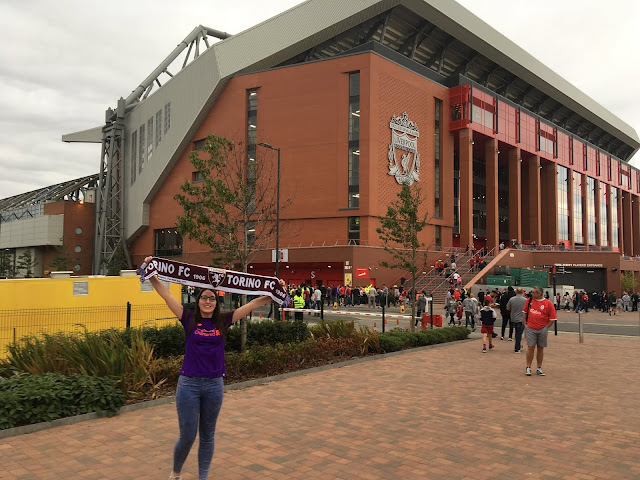 I very rarely get the chance to go to Anfield due to a variety of reasons, so when I saw that my favourite italian team Torino were coming to L4 for a friendly, I knew I had to try and get to the match. It would be just two days after returning from a holiday in Montenegro and I'd need to convince the fella to drive us all the way up from Wolverhampton and back on a school night, but it could work? It did work, thanks to a very kind fella and a mad rush running across Stanley Park, I'd made it to my seat on the Kop just in time for You'll Never Walk Alone. It was fantastic to get to see the likes of Mo Salah, Roberto Firmino and Sadio Mane in the flesh and I was also lucky enough to get a glimpse of the new signings. Firmino, Wijnaldum and Sturridge all scored for the Reds. Sturridge's at the Kop end after a link up with Shaqiri was particularly special.